Okay, well maybe not really Marvel, but the Marvel Cinematic Universe Facebook page shared this image earlier this evening. Unless you’ve been living under a rock, there has been some speculation that there is a little bit of beef between Fox and M.C.U. 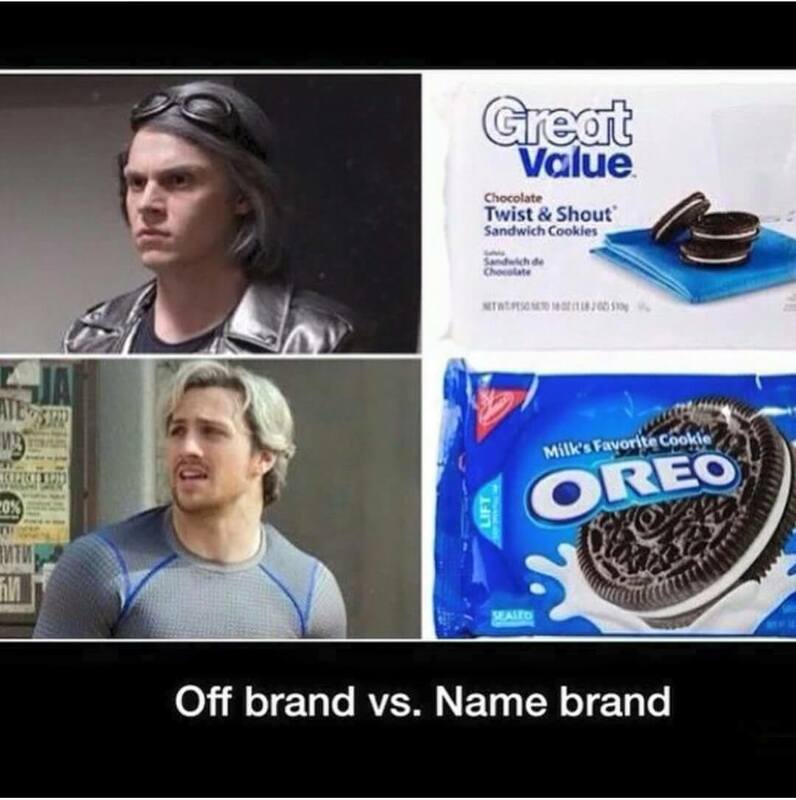 In Quicksilver’s case, he appeared in Fox’s X-Men: Days of Future Past last year and this year he is featured in Marvel’s Avenger’s 2 along side his sister Scarlet witch. Fox owns the right’s to the X-Men universe and the word mutant and what sparked this little bit of beef is the fact that Marvel recently declared Quicksilver and Scarlet Witch not mutants. Could Marvel have made that decision out of spite? Who knows. This image is well played though. Well played.